The delivery of a £100 million improvement programme for users of the M25 in the coming years is now getting underway, with the interchange between the A13 and M25 at junction 30 near Thurrock in Essex to be overhauled. Beginning on February 27th, the project is due for completion by autumn next year, but in the meantime, travellers in the area can expect significant delays and possible disruption to their journeys. The work will entail widening of the approach to the junction in both directions to four lanes and will also see construction of a new dedicated link road between the M25 and the A13. Highways Agency project manager Lizzie Pauling said: "This busy junction sits at the heart of the Thames Gateway regeneration area and the improvements we're making will make sure that it can continue its key role in supporting economic growth, both nationally and in the region." 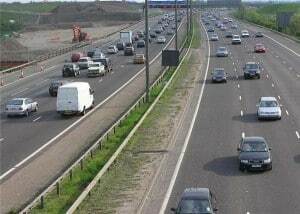 Motorists planning journeys in the area over the months ahead have now been advised they will be subject to a temporary 40 mph speed limit, while narrow lanes will also be installed that could further contribute to a build-up of traffic. It is therefore important for road users to realise the importance of planning alternative routes to reach local destinations if at all possible, while also factoring in potential delays to their journey times. Ms Pauling added the project forms an essential part of efforts to ensure congestion in the area does not become a major issue in the coming years, as traffic volumes for the route are currently predicted to rise by one-quarter by 2032. As a result, these works will now add considerable additional capacity for the carriageway, while also delivering an associated boost to safety for all future users.